The 2019 Powerboat racing season is only 5 weeks away! That’s right folks with the holidays well behind us now, the smell of racing fuel in the air is only a few weeks away. The good folks that make up the APR Superleague will be the first to hit the water in 2019 when the drivers take to the water for the Bradenton Riverwalk Regatta February 9th, 2019 as Formula 2 and Formula 3 power boats zip through the Manatee River! Ready for some high-speed thrills? The return of the Bradenton Area River Regatta is just around the corner! 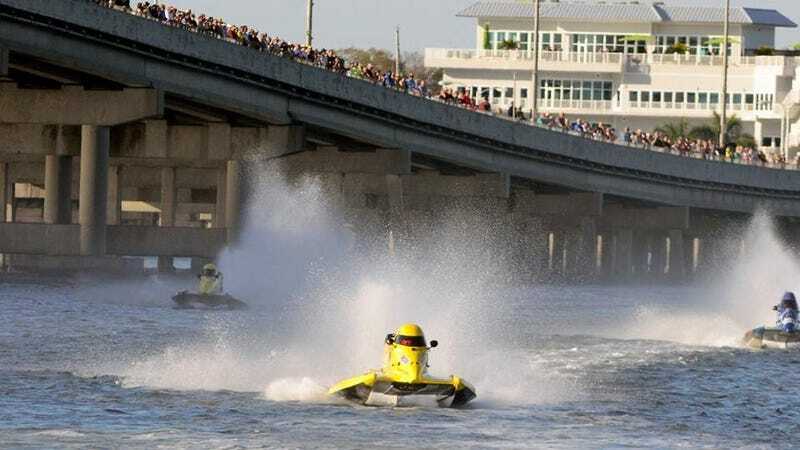 Get ready for action-packed fun on the Bradenton Riverwalk this February 9th, 2019 as Formula 2 and Formula 3 power boats zip through the Manatee River! Enjoy masterful flyboarding performances by Kristen “The Destroyer” Smoyer - Pro Flyboarder, live music and a performance by Bradenton’s own We The Kings, helicopter tours, and so much more! For information on all of the day’s activities, visit bradentonarearegatta.com.